Prosecco it seems is always on the precipice of disaster. We all remember the tabloid headlines panicking us to bulk buy a few summers ago, especially given the rise in popularity of cocktails such as Aperol Spritz. But there are serious concerns about the future of this popular beverage. Our collective thirst for the bubbly stuff is causing potentially disastrous consequences for the environment in North Eastern Italy where Prosecco is produced. Italian geographers and scientists have reported some startling figures about the rate of which soil erosion is happening. In recent years, prosecco has continued to soar in terms of popularity, especially in the UK. 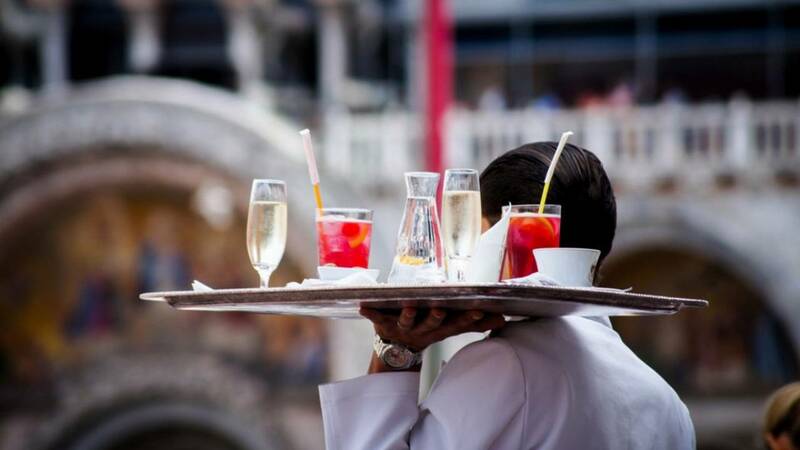 Brits are easily the biggest market and consumer base outside of Italy, exporting to the UK accounts for a third of prosecco production each year. Emma Power-Gibbs from Cartwright Bros, in Borough Market, says prosecco is now the backbone of her weekend trade. Quite often selling dozens of bottles on a Saturday afternoon alone. Prosecco is popular in the US and in Germany also, and this steady but increasing demand year upon year is taking its toll on the Italian countryside. A team of geographers from the University of Padua was brought in to conduct a report on the levels of soil erosion and in turn the sustainability of producing Prosecco in the Italian foothills. They found that a staggering 74% of soil loss in the Veneto region was directly due to Prosecco production. That equates to a loss of roughly 400,000 tonnes of soil each year. A reason for the soils vulnerability is because of the way the vines themselves are planted and have been planted for decades. Specifically planted on south facing hillsides in the Veneto region, which means the slightest fluctuations in rainfall can lead to disastrous consequences. The amount of rainfall in recent years has been the scourge of prosecco producers. This is even more prescient as the soil in this region has never been famed for being rich in terms of nutrients. Additional damage is caused when some producers use herbicides and pesticides, further diminishing the quality of soil. All of these are, according to Salvatore Pappalardo (the head of the Padua team), ‘key factors on soil stability and erodibility’. The demand for prosecco year upon year is leading to producers expanding their yields and thus only accentuating the existing issues surrounding sustainability. Local politician Graziano Azzalin warned of a ‘painful hangover’ in years to come, not just in terms of environmental concerns but also from a social-economic perspective. It’s clear that if we are to avoid a shortage of the fizzy stuff then safeguarding soil will have to be priority in years to come. The solutions put forward are on face value straight-forward and environmentally friendly. Jesus Rodrigo Comino, a soil expert in Malaga, Spain remarked on the issue of soil erosion that ‘only the application of nature-based solutions will be able to reduce or solve the problem’. So what are these potential solutions? Planting hedges around vineyards and especially those that run along nearby rivers would shield soil from washing away during times of heavy rainfall. The local rivers in the region are beginning to suffer too, soil that has been contaminated with herbicides and pesticides that washes into rivers is having an adverse effect on the rivers ecosystem. But the biggest way to alleviate the soil loss Pappalardo and his team discovered, was simply growing grass between vineyard rows. This would save an estimated 50% of soil loss occurring each year. However, a consortium representing prosecco producers and distributors have slammed the report as scaremongering and over-exaggerating the impact of soil erosion. In response to the ways the erosion could be alleviated a spokesperson said that the reports findings were ‘imprecise and hypothetical’. This butting of heads between the producers and scientists is set to rumble on for the coming months. As consumers, we may have to settle for alternatives if things continue to deteriorate, such as a bottle of Franciacorta, which producers boast of having ‘zero environmental impact’. Despite the picturesque views and rustic veneer, the prosecco hills of north-east Italy are going through real turmoil. It’s in everyone’s best interests to seek a solution to reverse these negative impacts. Hopefully, for us as consumers, we can continue to raise our full glasses for years to come.